Home Tips & Advice Licensed To Drool: Why Do I Need To Get A Dog License? Even though your dog can’t reach the gas and brake pedals, he still needs a license. Here’s why you need to get a dog license for your pooch. When it comes to owning a dog you have a lot of responsibilities. Not only do you need to feed and walk your dog, but you also need to make sure that he is properly licensed. Getting a license for your dog may not seem like a big deal – in fact, many dog owners neglect to license their dogs – but it is not something you should forget about. Let’s talk about the basics regarding dog licensing including important reasons to have your dog licensed. In the United States there are no federal laws requiring dog owners to license their dogs – these requirements are set at the state level. Most states require dog breeders and pet stores to have a license to keep more than a certain number of animals and to be able to sell them. For the average dog owner, however, all you need is an annual license. Dog licenses are issued by the state and they generally only cost about $20, though you may be able to get a three-year license at a discount or a permanent license that covers the entire life of the dog. Dog licenses need to be renewed annually (unless you get the three-year or permanent license) and they must be accompanied by proof of a current rabies vaccination. Aside from the obvious reason – the fact that it is the law – there are several important reasons for licensing your dog. For one thing, when you license your dog you will receive an ID tag with the license number. You should then place that ID tag on your dog’s collar so that he can be identified if he gets lost. The important thing to remember is that you must update your contact information with the licensing office if you move so that the information is kept current. In addition to identifying your dog in case he gets lost, having a license serves another important purpose. You cannot get a dog license without proof that your dog has been vaccinated against rabies. 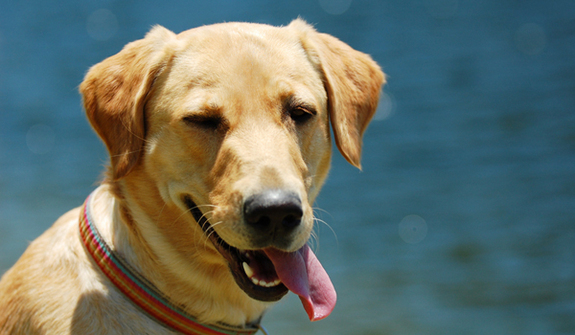 One of the major goals for dog licensing requirements is to prevent the spread of rabies. Not only can rabies affect your dog, but it can be transmitted to humans as well and it is an incredibly serious and often deadly virus. The main reason to license your dog is so he will have a better chance of being reunited with you if he gets lost. Many dog owners wonder whether they still need to have their dogs licensed if they already carry a microchip. Microchips are injected under your dog’s skin so they are not visible to the eye – if someone finds your dog, they must take the dog to a shelter or vet to have the chip scanned. A dog license is a faster, easier way to find the contact information for the owner of a lost pet. It is also possible (though uncommon) for microchips to go undetected. Having your dog licensed is incredibly important, even if he never leaves your property. There is always a chance that he could get loose and, having your dog licensed also means getting him vaccinated against rabies. Though owning a dog requires you to fulfill many responsibilities, one of your most basic (and most important) tasks is to have your dog licensed.